Cumberland Valley is a great place to experience all things fall. 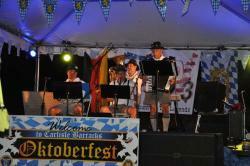 Our fall festivals celebrate the season with food, music, crafts and family fun. Discover a collection of our festivals and other fun events this October below. Find a complete list of events here. Cumberland Valley businesses will be celebrating American-made craft the first two weeks of October. Over 30 events will be held ranging from demos, workshops and hands-on art seminars. The theme of this year&apos;s corn maze is "Linus and Charlie Brown in the Pumpkin Patch." 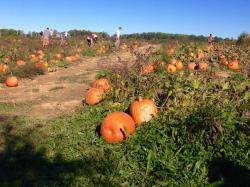 You can also pick your own apples and pumpkins. Enjoy the fall fun fort featuring corn and soybean boxes, bouncy horses, mini maze, slides and more. The outdoor hay play is filled with straw bales, tires and tubes for exploring. 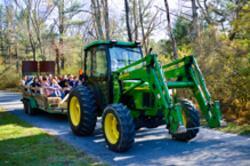 On the weekends, enjoy hayrides, the corn maze, pumpkin picking and pumpkin chunking. Activities, for all ages including farm animals, hay slide, corn maze, hay jump, corn box, tunnels, field games, pick-your-own pumpkins and horse drawn hayrides. Enjoy leaf printing, apple cider pressing, pumpkin painting, children&apos;s games and crafts, hay rides, mansion and garden tours, craft vendors, food stands, and live music. Join the Carlisle Barracks for a good time filled with entertainment, games, activities and the unveiling of the official brew of the Army War College. A two-day community event featuring crafts, food, games, contests and entertainment. A trip through Perry County to see four covered bridges, talk about local cemeteries in the area, and experience the brilliant colors of fall. This event features food and craft vendors, live music, environmental education programs, hayrides, pumpkin carving, scarecrow making, kid&apos;s crafts and campsite decorating. How was Halloween celebrated throughout history, and how is it celebrated around the world today? Come find out and have a celebration of our own as we decorate pumpkins to take home for this year’s Halloween. In this program intended for adults, come find out the history behind Halloween, followed by a walk in the moonlight. This hometown event offers hay rides, live music, fall-themed games for kids, chainsaw demos, face painting, BMX bike stunt shows, "Touch-A-Truck", and more. Nearly 100 vendors will share their arts and crafts project. Clever culinary artist, Nancy Reppert, will create a delightful afternoon tea party for you to enjoy with your family and friends. Costumes encouraged.